ram, 16 Jul 2012is this phone can log facebookyes, can. this phone is nice..i like it very much, got fb, timescape and also can tweet.awesome..
x peria x8 is so good it is relaiable and the android and internet is so fast. i thought it wz gud but the battery is even worse!!! nepal, 13 Jul 2012i am from Nepal, i can not open market in this phone. whenever i try to open it by clicking MA... morego to setting open privacy and mobile will be restore and please enter google account then market is open. nepal, 13 Jul 2012i am from Nepal, i can not open market in this phone. whenever i try to open it by clicking MA... moreJust do what it says ! Call your network Operator and check for your internet connection. 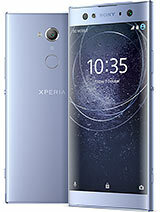 hai I using x8 is very good good I used all brains phones Sony ericsson is very good I like very mutch. zean, 12 Jul 2012how can I install camerazoomfx for zooming camera?for those need to zoom in xperia x8 can use PRO Zoom Camera 5X..tq..
this could be a temporary problem or your phone may not be provisioned for data services. if it continues call customers centre"
zean, 12 Jul 2012how can I install camerazoomfx for zooming camera?Install to your android market. how can I install camerazoomfx for zooming camera? arjuna, 09 Jul 2012Hi Guy's I switched into X8 from Samsung. A nice phone with a capacity. But i've some probl... moreYou will need to Root your phone and upgrade it to Android GB version if you want more features from X8. This can void your warranty, so you take the decision. I switched into X8 from Samsung. A nice phone with a capacity. But i've some problems as follows. 1. When taking Photos it has No Zoomer. 3. Android; But can't install "Skype". If you have any comments or help Pls. post.